Lovi BPA Free soothers are specially developed by neonatologists and orthodontists. 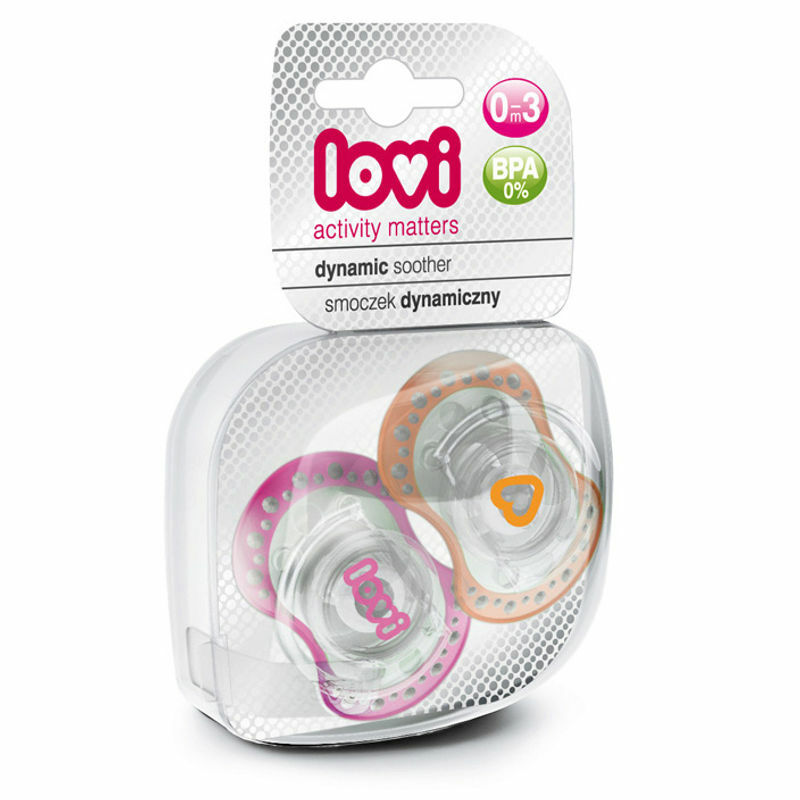 LOVI soothers are developed to follow Active Suckling Reflex. The dynamic soothers keep correct coordination of breathing and swallowing of saliva. The symmetrical soothers do not disturb natural development of a baby?s gums, palate and teeth. BPA Free, symmetrical soothers developed by neonatologists and orthodontists. Natural bite and oral development. Air vents reduce skin irritation by air flow. Contoured shield for easy breathing. Odorless, tasteless, teat made of high grade silicone. Comes with hygienic cover and ring handle. Safe: Symmetrical, BPA, BPS and phthalate Free. Hygienic: Comes with a hygienic, snap on cover. Researched & Tested: Follows Active Suckling Reflex. Design: Countered shield and air vents for baby?s comfort. Oral Development: Easy breathing and swallowing of saliva. Prevents the child from instinctively biting the teat.